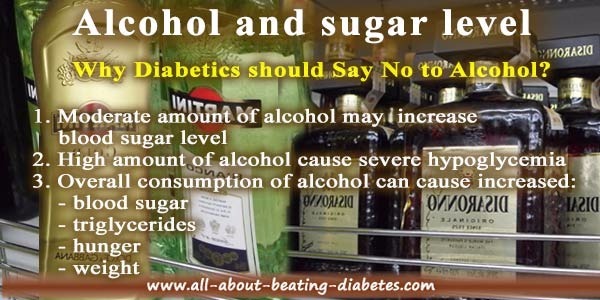 Why stop drinking alcohol will reduce the risk of having diabetes? What is the effect of alcohol on blood sugar levels? Does it lower or raise blood glucose? One diabetic should care about the effects of alcohol on blood glucose level. It’s very important to get to know if drinking alcohol can worsen your condition or not. It might be very difficult to say “No” to a glass of whiskey or raki (traditional grape alcoholic drink). And maybe sometimes you may seem embarrassed to say “No” to a beer offered by a friend. To my opinion, you shouldn't. As a diabetic, you should look at what you’re taking and how it will influence your blood glucose. If you cannot do it by yourself, ask for help from your relatives or specialized people (like consultants or medical team). If it is something that worsen your condition and may cause or precipitate the severe diabetes complications onset, better get used of saying always “NO”. But if you think it’s something you take occasionally, and doesn't harm your health, I become doubtful in that. 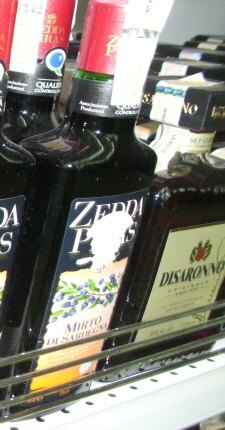 Nothing related to alcohol is good for you health. Why? 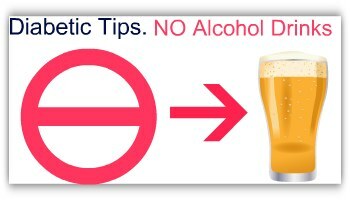 First, alcohol is the only one “drink” which is not metabolized in your stomach. So, it is absorbed directly into your bloodstream. This process occurs very quickly and after ninety minutes the alcohol reaches its peak in your bloodstream. Once alcohol is in, it’s treated as a poison from your body. So, your body “stimulates” liver to clear your blood stream from alcohol. At the same time, the medications you’re taking to treat diabetes lower your blood sugar levels. In this moment, your body needs liver to put glucose into the bloodstream. But your liver is too occupied of clearing off your bloodstream from alcohol. And the consequence is: too low blood sugar levels (or hypoglycemia). Now, you may understand why alcohol and blood sugar cannot be matching. Be strong enough to say a big “NO” to a beer. Instead, have a fruit cocktail spiced with cinnamon and vitamins. This will not only give you the pleasure of eating well and healthy, but it will supply the pleasure of keep your blood sugar under control and at a steady stage. Don’t you think this might be the best choice you ever find? If you still are not so strong enough to say “NO” to a beer, do make sure you don’t have it in an empty stomach. This may worsen your situation. Try a snack before, and then have your beer slowly. Furthermore, be sure you haven’t been exercised before having an alcoholic drink. As you may know, exercise lowers your blood sugar. When you drink alcohol directly after being exercised, you’ll double your chances of having hypoglycemia. Now, the other problem of alcohol and blood sugar “bad” link is that you may think to use alcohol since it can lower your blood glucose levels. To my opinion I don’t find it a wise choice. The devastating complications of drinking alcohol do not justify your decision of putting it into your diabetes diet plan. Remember: beating diabetes naturally is the best choice you can ever have. Be strong and never give up.